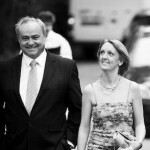 Bamro Property Management is Owned and Managed by Natasha & Douglas. We moved to Bansko, from the UK, in 2006 to oversee the build of our own Chalet. While overseeing the build we came across many apartment owners who did not feel secure with their property management arrangements. 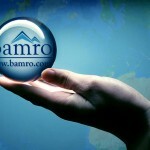 Bamro has grown year on year and today is one of the largest and most respected property management businesses in Bansko. Natasha Bamford – Came from a background of recruiting Senior Human Resources professional for a leading UK Recruitment company and studied Accountancy, Marketing and Computer Science at Demontfort Univeristy. Douglas Ross – Came from an employment law background which encompassed Facilities Management for international manufacturers. This embraced all Health and Safety issues as well as ensuring best practice standards were adhered to. Latterly Douglas was asked by DEFRA to assist in the training and auditing of companies who use temporary overseas labour, to the standards of the Gang-masters act and became one of the UK’s leading authorities on this legislation. Our team here in Bansko all speak fluent English in addition to Bulgarian, Macedonian and Russian.